Attorney - The person appointed by the Granter to exercise the powers in the Power of Attorney document. Authority - This is the power to act granted by the Power of Attorney but note that it cannot be exercised, in the case of continuing and welfare powers, by the Attorney until the document is registered with the Office of the Public Guardian. Capacity - The ability of a person to be able to understand their situation, make lucid decisions and communicate these. Continuing Power of Attorney - This grants power to the Attorney to deal with with the property and financial affairs of the Granter. This can come into effect whilst the Granter still has capacity. 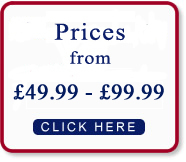 Financial power of attorney - see Continuing power of attorney. Granter - The person who grants the power. Incapacity - The inability of a person to understand their situation, make lucid decisions and communicate these. Jointly - If you appoint more than one attorney, you will need to make a decision as to whether your attorneys can only act if they both or all agree on a course of action. If it is stipulated that they have to agree before something can be done, they are acting "jointly". The alternative is that they can, each, act separately (jointly and severally). Problems can arise because, if they can act separately, they may conflict. For instance, one of your attorneys may decide to sell something and the other one not to sell. Anyone receiving instructions will be confused! It's a question of trust. If it is your children, for instance, you have to decide whether they are going to fight or whether they will pull together. Jointly and Severally - If you appoint more than one attorney, you will need to make a decision as to whether your attorneys can only act if they both or all agree on a course of action. If it is stipulated that they have to agree before something can be done, they are acting "jointly". The alternative is that they can, each, act separately (jointly and severally). Problems can arise because, if they can act separately, they may conflict. For instance, one of your attorneys may decide to sell something and the other one not to sell. Anyone receiving instructions will be confused! It's a question of trust. If it is your children, for instance, you have to decide whether they are going to fight or whether they will pull together. Non-continuing Power of Attorney - This grants the Attorney the right to carry out work for a particular purpose (e.g. selling a house). 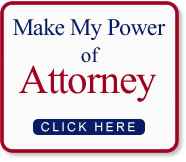 Such a Power of Attorney does not require to be (in fact, cannot be) registered with the Public Guardian. Office of the Public Guardian (Scotland) - Situated in Falkirk, this is the office where the Public Guardian operates. Public Guardian - The Scottish public official who registers continuing and welfare Powers of Attorney and who oversees and advises Attorneys. Springing - a clause specifying an event that must happen before the Attorney can act, e.g. an assessment of incapacity by a medical practitioner. Welfare Power of Attorney - This grants power to the Attorney to deal with the Granter’s personal and health care. Unlike a Continuing Power of Attorney, this can only come into effect on the onset of the incapacity of the Granter. Welfare Attorney - The person granted power y the Granter to deal with the Granter’s personal and health care.